The Adjustable Banner Stand Case has a minimum interior size of 3.75" x 12" x 30.13" and a maximum interior size of 3.75" x 12" x 47.13". 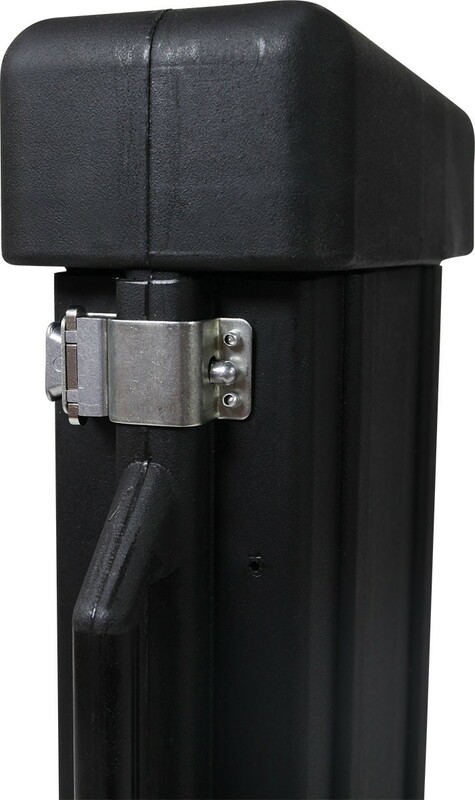 The adjustable design and heavy duty construction make this an excellent shipping case to protect your banner stand investment. 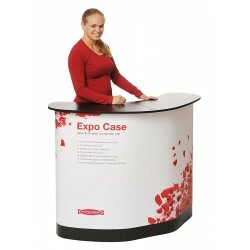 This adjustable banner stand case is one of our most versatile shipping cases. Made in the USA from 100% recycled materials, the heavy-duty construction of this durable offers excellent protection for banner stands during transit. It features foam padding on the ends and a new and improved latch for greater longevity and reliability. 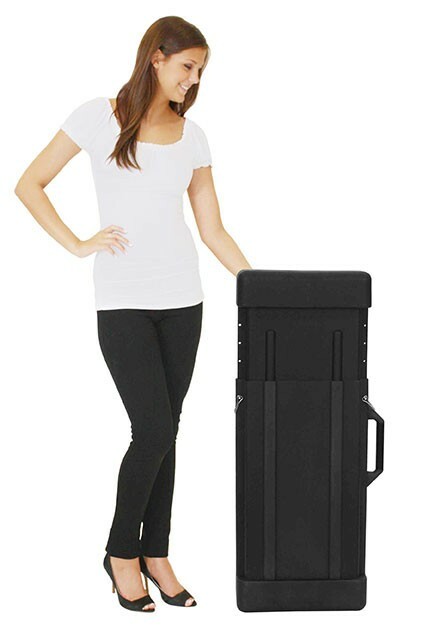 The unique design allows the length to be adjusted to the proper size for a wide variety of banner stands in their individual carry bags. The less the banner stand can shift inside the case, the less likely it will get damaged in transit, so this design is ideal for maximum protection. It also helps to reduce shipping costs because the case does not have to be any larger than necessary. 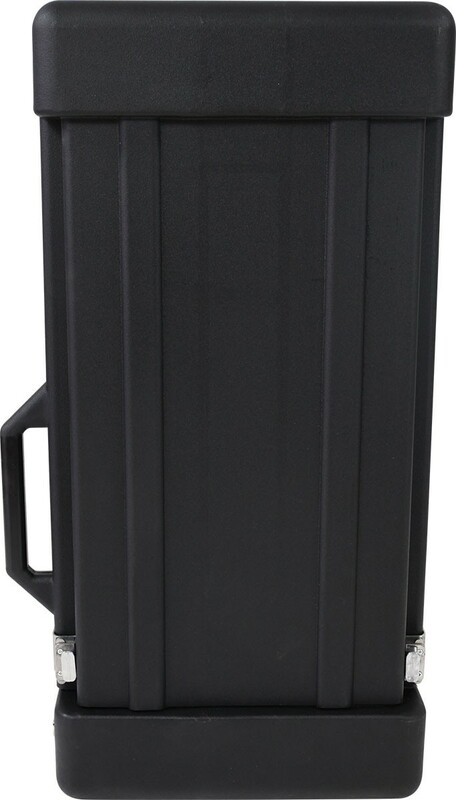 The case has a molded carry handle and detachable shoulder strap. 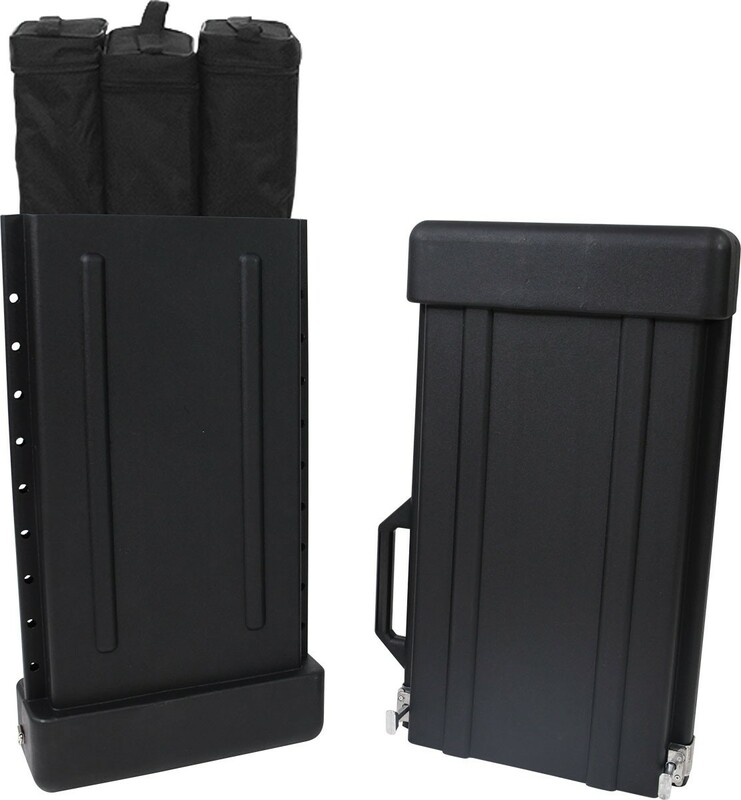 This case can hold one wider base banner stand in it's carry bag, or up to three compact style banner stands in their individual cases. For example, this case can hold three Econo Stands, or one QuickSilver Pro 24, QuickSilver 31, or QuickSilver 36. It can also hold a single Space Infinity 24 or 33, Space Supreme 33 or 39, Expand QuickScreen 3 19, 33, or 39, Expand MediaScreen 4 33 or 39, Imagine, Barracuda, or Orient. It can hold 2 Pacific, Lightning, or 1 Pegasus banner stand. NOTE: The manufacturer of this case does not accept returns, so please measure your banner stands and compare them to specs of this case to be sure they will fit before you order, or contact us for assistance. 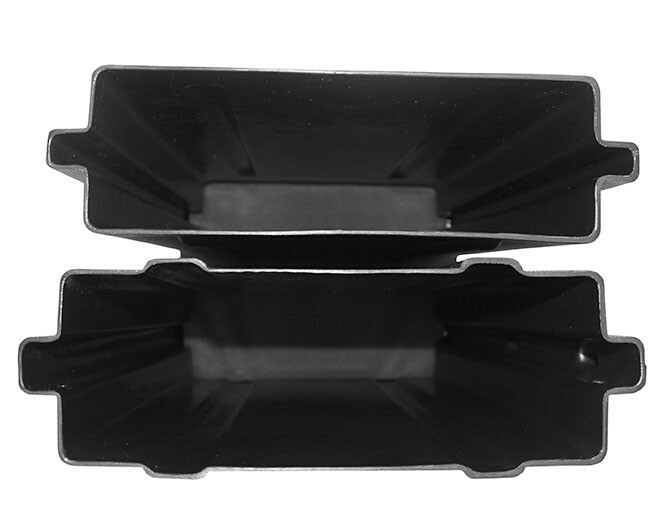 Interior Dimensions, with foam inserts: 3.75" x 12" x 30.13" - 47.13"
Exterior Dimensions: 6" x 15" x 30.38" - 47.38"
Shipping Dimensions: 32" x 18" x 7"